If you are scratching your brains wondering how bots on Facebook look like and how do they operate, calm down. These are simple bots dedicated to a particular service and you can use them right now. But, at the moment, they are pretty confusing and unintuitive. Many times the bots don’t know what to do and you end up struggling getting any work done. To make things easier for you, I tried Facebook Messenger Bots myself. I started with Facebook’s very own F8 bot. You can access it via m.me/f8bot. As you visit this URL on your phone, you’ll be asked to choose Messenger or Facebook app to proceed. You can choose either of the choices if you are opening it on PC you will get the messenger.com opened directly on your PC. There is another bot named Poncho, the weather-bot that pretends to be a cat. Chatting to Poncho was better than F8 bot in my view.Access Poncho here: m.me/hiponcho. Check out similar bots here: botlist.co. Can Bots become the next big thing for Facebook? 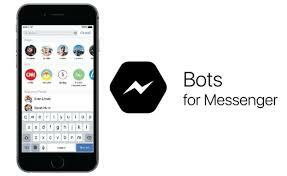 Did you follow this how to use Messenger Bots tutorial and tried some bots? Share your views in the comments below.